“The church is a mile wide, but it is only a ¼ inch deep.” This comment is made often, and more often than not, it refers to the church in Africa or Asia. Why is this the case? There are two parts to think about in this comment: evangelism and discipleship. Both are needed to build a strong church. Evangelism is the first step, but when evangelism happens without discipleship, we run the risk that we’ll have a large church with not much spiritual depth. The truth is that we are called to both: to spread the gospel and to teach those who hear and accept the good news. In some ways, evangelism is the easy part. Sharing the love of Christ can be done on street corners. It can be done by a friend talking to a friend. Whenever I think of evangelism, I think of Romans 10:14 and the commission to go, to reach out and to share the good news. Paul wrote these verses realizing that if the Jew and the Gentile didn’t hear about Christ, they could not be saved. So, evangelism is essential, and it has been the cornerstone of TWR’s ministry. Yet that’s just the first part. In Matthew 28:20 (NLT), Christ said these words, “Teach these new disciples to obey all the commands I have given you.” I believe he’s talking about discipleship here. Discipleship is essential for a strong, vibrant church. Without it, new believers will not be equipped to live out their lives in a godly way. They will not base their decisions on what God says. Instead, they will follow tradition or the world’s way. After all, that’s all they may know. So how do you disciple the church in Africa? How do you not only lead people to faith but also make sure new believers are discipled? In most parts of Africa, there are not enough pastors; in many cases, the pastors who are there are not educated because there is a lack of training. This means that the leaders have limited ability to disciple effectively as they were not discipled effectively themselves. I went to Angola many times, but one trip was extra special. We went into the interior of the country for the first time to meet with listeners. One of the men with me was Isac Silvano. He was from Angola, from the Umbundu people, and had gone to Brazil for Bible school. During the time Angola was at war, he lived in Brazil and Swaziland. While there, he produced radio programs to minister to his people; however, he had never had the opportunity to meet those who listened. That’s what this trip was about. Meeting them was an incredible experience for him, and seeing and hearing the impact of TWR’s radio broadcasts was a huge blessing to me. There was one event on that trip that impacted me greatly. It took place at 5:00 in the morning. We were sleeping on grass mats on the floor in a building when there was a loud knock on the door. We thought, why are they waking us this early in the morning? But it wasn’t our hosts who were waking us up; it was a listener. This man had waited as long as he could, but his excitement could not be contained any longer! He was eager to tell us his story. He had walked 15 kilometers through the night to meet Isac Silvano and our Thru the Bible producer, as both men had had such a great impact on him. He told us his story of how, in the remotest of places, he had heard the Word of God and been discipled. This man had no real education, but he knew scripture. He shared with excitement how both radio hosts had discipled him. He shared how there was no church and how he felt he was part of a church because of the radio programs. He shared with such joy how TWR had discipled him and the impact that had had on his life. I remember sitting in the hallway where we were staying and praying with him. It was thrilling and humbling to witness. This message of impact was repeated in different ways and in different forms throughout that trip. TWR was the message of hope, and many accepted Christ. It was also the only way people could be discipled. There were very few pastors; there were only two Bible schools operating in the entire country at that time, but these people knew the Word of God because of TWR’s ministry and because they had been discipled over the airwaves. 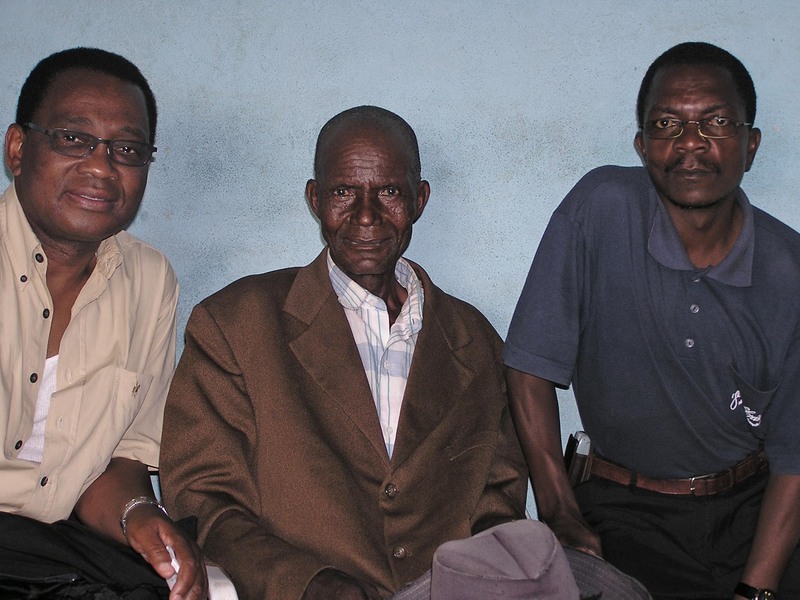 This story illustrates why both evangelism and discipleship are important. People come to Christ in a moment, and then discipleship is a lifelong journey. We want to be there for both. We want to ensure that the Church spreads more than a mile wide, but that it also goes much deeper than ¼ inch!